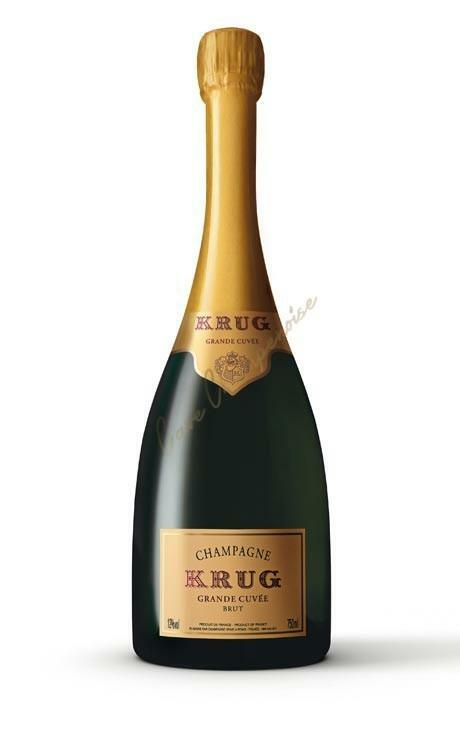 Krug is the maker of this Krug Grande Cuvée ($219.95), a sparkling wine from the region of Champagne vinified from pinot noir, pinot meunier and chardonnay and shows an alcoholic content of 12%. The Krug Grande Cuvée is the ideal sparkling to combine with birds and white meat. According to Uvinum users, this sparkling wine earns 3,9 out of 5 points while experts give the following rate: robert parker: 95 and wine spectator: 95. Krug Grande Cuvée Brut is the timelessly elegant signature of its maker. A breathtaking champagne, full of freshness, power, finesse and harmony. A sensational taste experience. - View: Krug Grande Cuvée Brut is of a gleaming gold color. - Nose: An extravagantly expansive bouquet, an almost creamy texture. Then, an explosion of flavors, at once mellow and mature. Crisp and clean. - Mouth: Toast, soft spices, dried fruit, candied fruit. Krug Grande Cuvée Brut is the supreme demonstration of the Krug's art of blending. No recipe can define its intricate harmony, so every year the Krug family works from taste and memory to recreate this most complex of champagnes. Typically, Krug Grande Cuvée Brut is blended from around 50 delicious wines of six to ten different vintages. - Henri Krug said, 'Krug Grand Cuvee is as a symphony, a composition where all the instruments play together, complimenting each other in total harmony'. - Nose: prodigiously expansive bouquet. - Mouth: creamy texture, toast, crackers, mild spices, nuts and candied fruit. - Nose: I prodigiously expansive bouquet. I bought it at a wine tasting stand. Typical opacity of a Krug. Its aromas reminded me of yeast. A very well balanced Champagne. 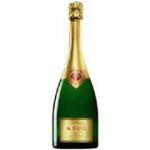 I took 2 bottles of Krug Champagne Krug Grand Cuvée with a former partner. -View: Krug Grande Cuvée is yellow gold. Bright. - Nose: Very complex. Aromas soft, ripe, clean and delicate toast, fine spices, nuts and candied fruit. 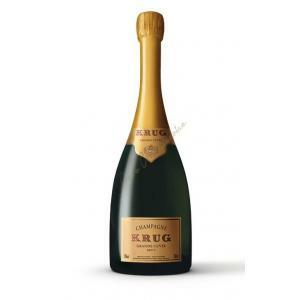 If you want to buy Krug Grande Cuvée, at Uvinum you will find the best prices for Champagne. At Uvinum, at the best price, fast and 100% secure. We have more than 59.000 products for sale in our catalog becoming this way the leading marketplace to sell wine, beer, and spirits in Europe thanks to more than 38.000 customers who trust us.